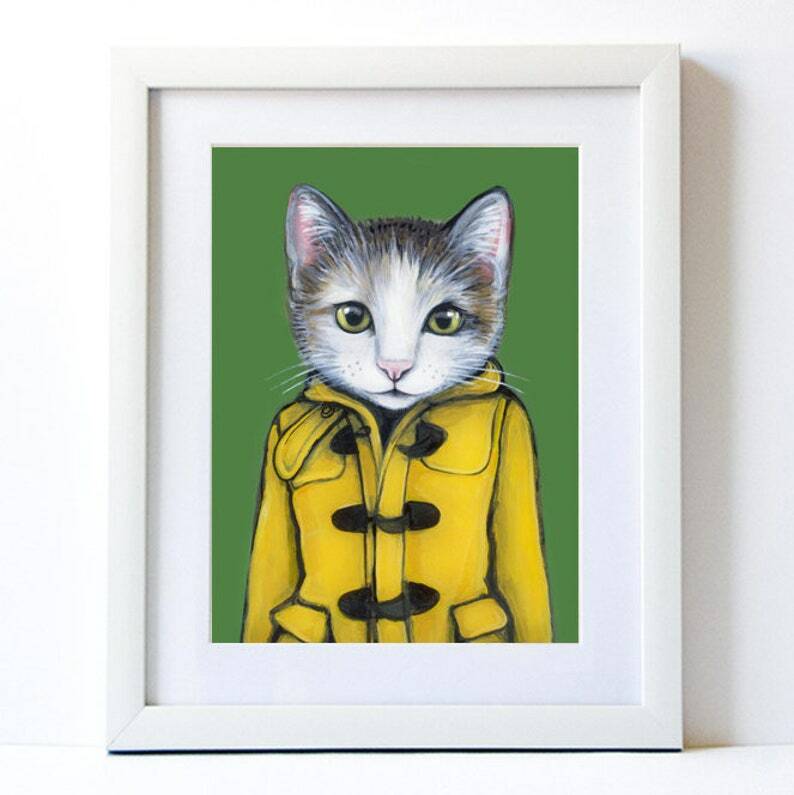 Penelope looks adorable in her yellow coat for sure, but does it make up for her OCD tendencies of rubbing her face on every corner she walks by? Yes, yes it does. The archival paper used for these prints have a crisp and pure matte finish. Printed with high quality archival inks for a rich print that lasts up to 80+ years. The print has a thin white border around image for matting / framing preferences. All prints are signed in the bottom right hand corner. All prints come with cardboard backing and sealed in a biodegradable plastic sleeve.